So often, we give excuses why we can't do evangelism. Throughout his life, Paul shows us how lame our excuses really are! He is under house arrest and having to support himself, yet he still manages to get the Gospel out to the lost! Loving and Almighty God, forgive my excuses and my fear. 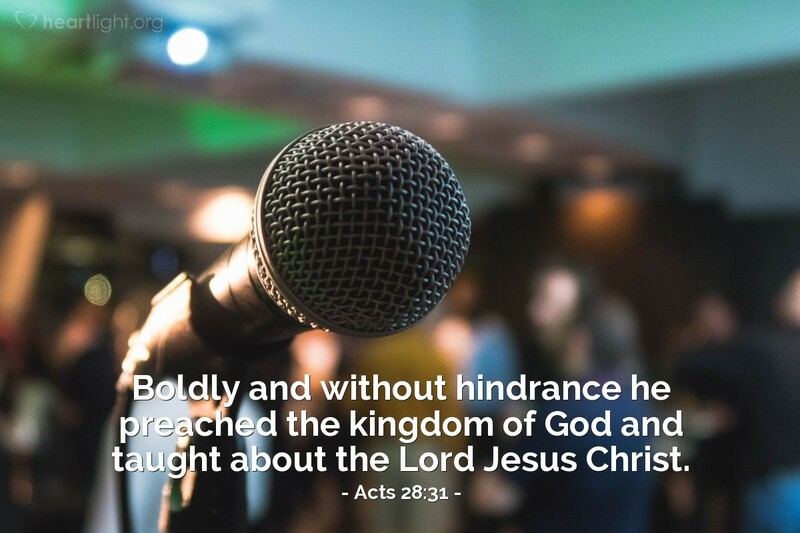 Please make me bold to share your saving truth in the Gospel. May all who know me also come to know more about Jesus through me! In his precious name I pray. Amen.